Last week, the IKEA team happened to notice that leading auction site, Barnebys, had predicted that the brand’s vintage 1956 LÖVBACKEN side table (that was recently re-released as part of its “Re-imagined Classics” collection) could be worth over £5,000 within the next 20 years – the same amount as a Rolex watch or Hermès Birkin handbag, despite being re-released for just £45 this August! 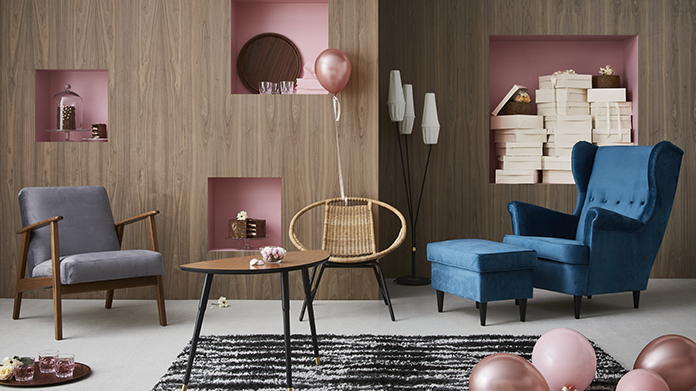 Whilst staple high-end brands featured in the article by Barnebys, so did the somewhat surprising IKEA addition… and it looked to us like too good an opportunity to miss. A quick press release and quote later, we were hitting the phones, selling in the story far and wide to media – unveiling how Brits could be sitting on a future fortune in years to come. Our speedy spot and quick-turnaround saw IKEA’s table feature widely across the news, securing over 50 pieces of coverage in total. In addition to a front page in the Daily Telegraph print and huge features in The Sunday Times and Daily Mail print, a variety of online titles also wanted in on the action, including Daily Telegraph, Independent.co.uk, MailOnline… twice, Mirror and The Sun… twice! The story also cleaned up across the consumer lifestyle titles with ELLE, Good Housekeeping, Grazia, Cosmopolitan, Red Online, Yahoo (amongst so many others) and it continued to circulate the country with 20 regional titles covering, including Belfast Telegraph, The Scotsman and Edinburgh Evening News. Oh, and if you’re looking for a sound furniture investment… click here.